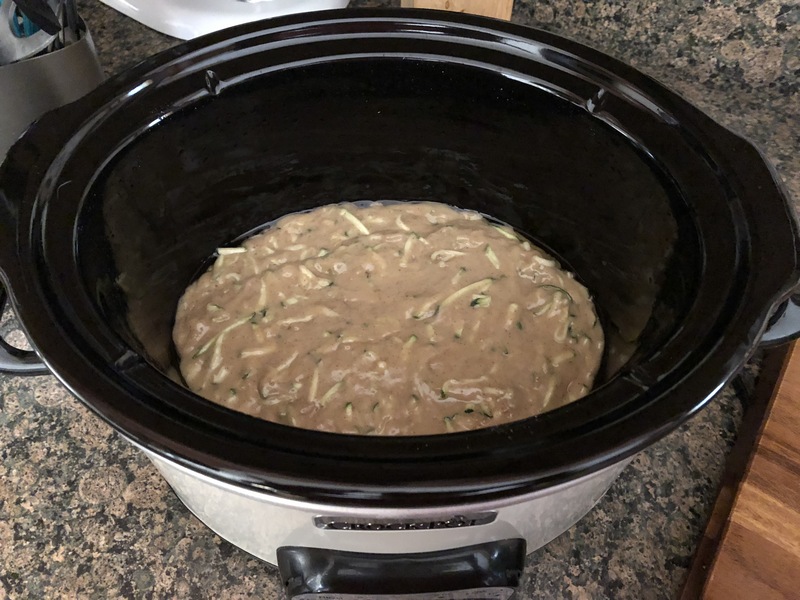 I recently started using my slow cooker again. Ideally it is the perfect appliance to use in the warm summer months to avoid turning on the oven, but, I just find that the meals it produces are bit heavy for the dog days of summer. Granted, I should have been looking for recipes for desserts as there’s never a bad time of year for a sweet treat. 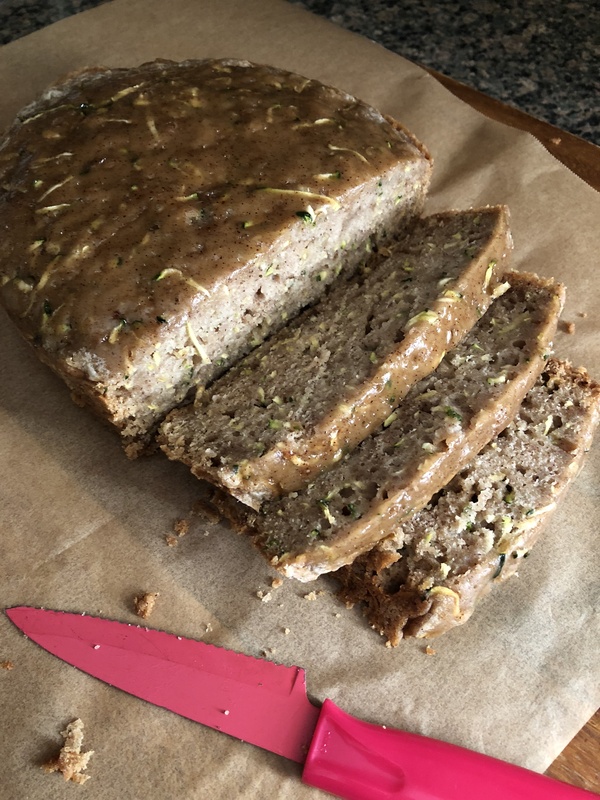 This recipe today, Zucchini Bread, is perfect for the summer months with the abundance of zucchini available at the supermarket and at your local farm stands, but, thankfully zucchini is one of those vegetables that is available year round and always seems to taste the same. To start I made the batter. Using my food processor I grated two small zucchini and squeezed out the excess water. In one bowl, I whisked together the dry ingredients – flour, cinnamon, baking soda, baking powder and salt. In another bowl I whisked together eggs, sugar, vanilla and oil. 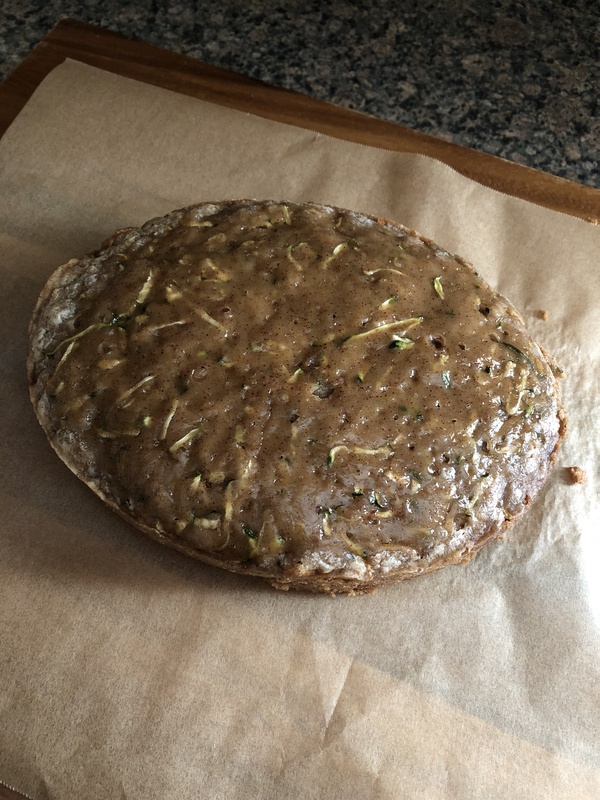 I folded in the zucchini and then whisked in the flour mixture. I then transferred the mixture to my 4-quart slow cooker that I brushed with oil. I covered it and set it to cook on high. Now, the directions said to leave the lid slightly ajar, I did this and after about 2.5 hours my bread was still undercooked in the middle. So, I decided to completely cover it and let it cook and it was done in about another 20 minutes. I turned off the slow cooker and let the bread sit uncovered for thirty minutes. I carefully removed it and let it cool completely. I then sliced and enjoyed a piece. It was good, but, I think next time I make this I may use less cinnamon. Brush the inside of a slow cooker (4 – 6 quarts) with 1 tablespoon of oil. In a medium bowl, whisk together the dry ingredients – flour, cinnamon, baking soda, baking powder and salt. In a separate large bowl whisk together the eggs, sugar, vanilla and the remaining oil until well combined. Fold in the zucchini. Add the flour mixture to the eggs mixtures and stir until just combined. Transfer the batter to the greased slow cooker and spread in an even layer. Cover the slow cooker and cook on high for 2 to 3 hours, until a cake tester inserted in the middle comes out clean. Uncover and let the bread cool in the slow cooker for 30 minutes. Loosen the edges of the bread and then carefully remove using a large spatula. Slice and enjoy!